Give me a brief introduction about you and how you came into such a great hobby. My name is Will Tucker; I live in Memphis, TN, USA, and I am 17 years old. Ever since I was born I have been fascinated by anything that could fly. Whether it was a bird or a 747, nothing was more intriguing than the thought of flying. Recently, I have been training for my Private Pilot License and am almost finished. I am also a very active blues musician and play weekly at BB King’s Blues Club on Beale St. here in Memphis. What was the reasoning behind your choice of the Boeing 727 aircraft and how realistic do you hope it to be in the end? I have always had a love for “old” things. Something about their character that says, “been there, done that” is just so cool. So when it came time to choose what aircraft to model, it came down between the 707 and the 727, the classic airliners. Well, living in Memphis, the main hub and headquarters for FedEx is just right on down the street. So they were the first people that I turned to when deciding to start a cockpit project. I guess you can say we got extremely lucky when the guys at FedEx agreed to donate their 727-100 Cockpit Procedures Trainer to us. We were ecstatic to obtain the beautiful old trainer and it was a perfect starting point for our project. We hope that by the time it is done it will be virtually full function. Are you working to a timescale with the project? What have you achieved so far? We have been pretty laid back with the project and have been taking our time and enjoying the build process. We have been working on the sim for about 4 months as of now. We have a three projector visual system, full functioning virtual gauges, flight control integration, throttle quadrant integration, overhead interfacing, and have started work on flight engineer panel interfacing. We have also acquired two real Ipeco seats from a FedEx 727-200 and our second officer and observer seats are on the way. What would say was your biggest accomplishment in sim building so far? Aside from actually getting the CPT from one end of town to the other, we are very proud of the visual system on a basis of how it looks considering the budget that we built it on. From my experience of flying in Level-D simulators, I would say that we have done a great job getting the perspective and alignment correct. 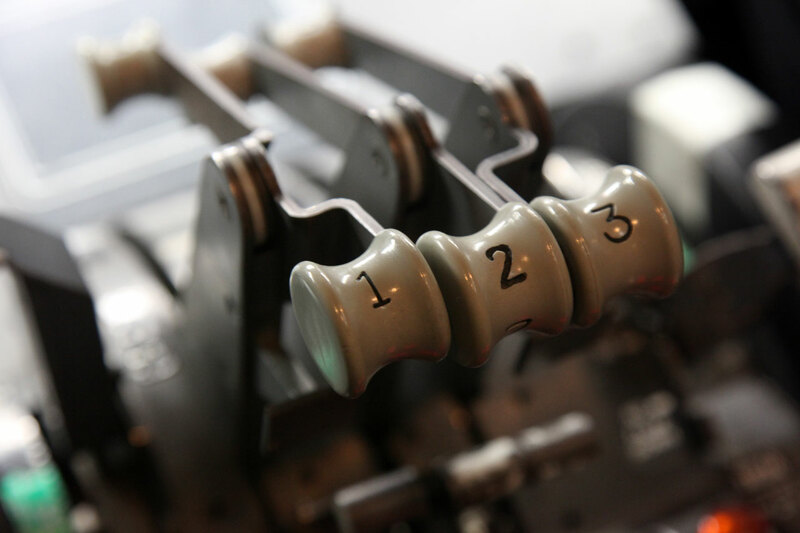 Are you basing the sim on real aircraft parts or plug and play, or are you building your own? Well being a CPT, we were fortunate enough to have many of the parts already available to us for interfacing. We have interfaced the original throttle quadrant and pedestal using one of Leo Bodnar’s joystick cards and have interfaced the overhead panel using FDS’ InterfaceIT card. The yokes are from Precision Flight Controls and we are currently using Saitek Pro Flight pedals for the rudders. 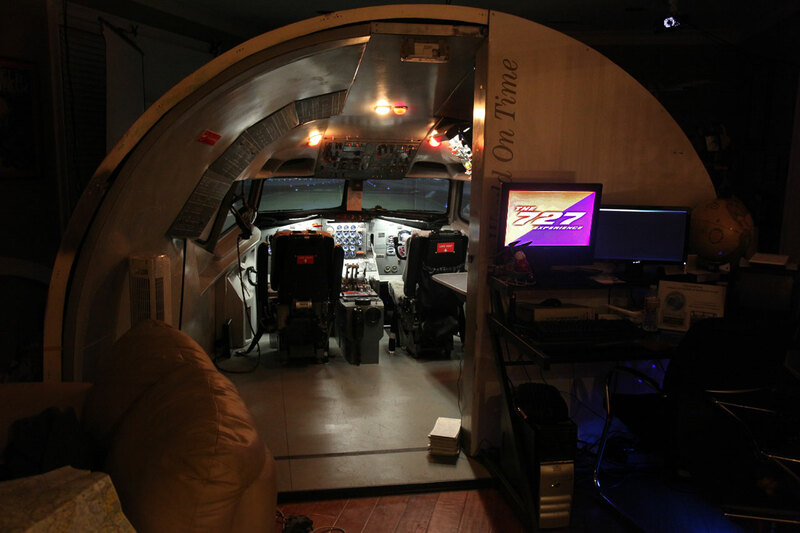 The sim is currently running on a network of three computers and Microsoft Flight Simulator X. The main and most powerful computer runs the visuals and also powers the captain and first officer’s flight displays. All of the interfacing cards and flight controls also run into the main computer. The second computer is running FSX linked with WideView and only runs the engine panel. The third computer is running WideFS and is the computer that we run PMSounds and Luis Gordo’s fabulous Instructor Station. The visual system is made up of three homemade flat projector screens with three projectors running through TripleHead2Go into the main computer. There are two 17” LCDs and one 19” LCD in the MIP that run the virtual gauges. 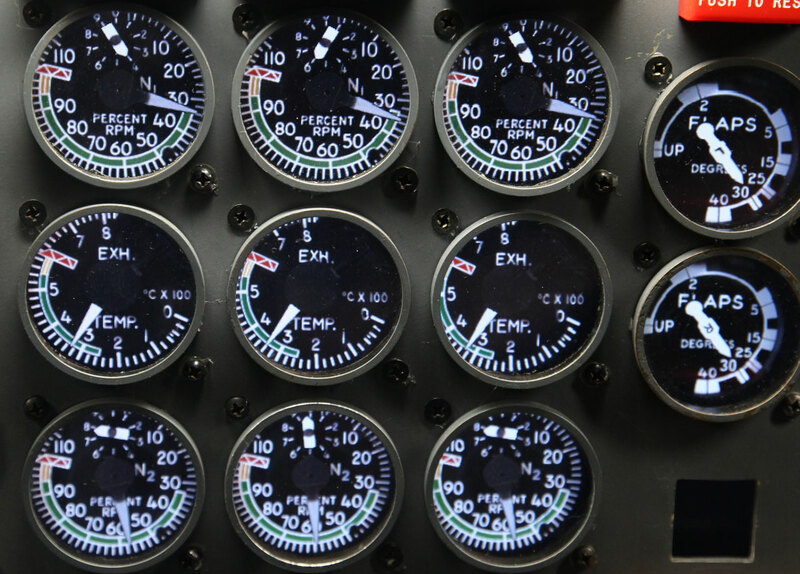 Software wise, the virtual gauges are simply custom-made Panel.cfg files that are positioned on the LCDs behind the MIP. For the flight model, we are currently using Vistaliner’s 727-100. We have really loved the simplicity of this model and freedom to use whichever panel we would like. (Not the case with Captain Sim’s model). 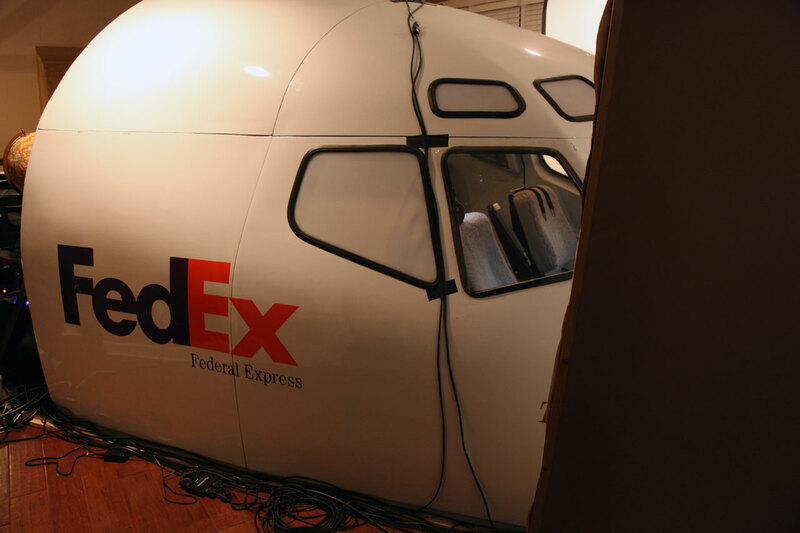 And after flying in the Level-D 727 simulator at FedEx, I would say that the flight dynamics are very accurate. The way we have simulated the systems in the aircraft is that we are using Dreamfleet’s 727 panel in the Vistaliner 727. We then setup mouse macros in FSUIPC and then assign the switches on the overhead to the mouse macros through the InterfaceIT software. And to top off the flight model we are using the TSS JT8D sound pack along with numerous scenery addons and Real Environment Extreme 2.0. What is your friends and family reaction to your project? I am fortunate enough to have a family that is very supportive of all my endeavors. They are always excited to see new progress in the simulator and it is always fun to see the excitement of friends who come over and fly the sim. 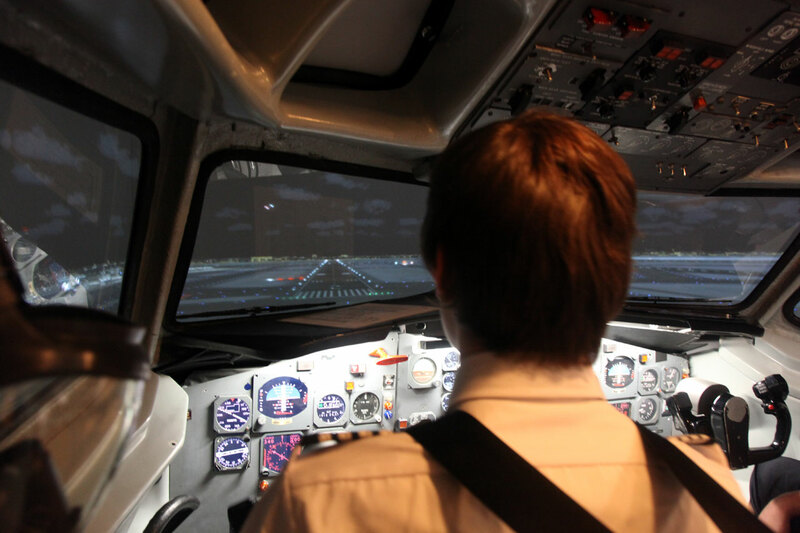 I have been able to let a few commercial airline pilots fly the simulator and they have all had very positive feedback. Do you find a lack of other 727 builders a problem, or are you managing ok? Have you had any problems because of this? It can be a bit tricky when you encounter 727 specific problems, but this seems to be rare. Most of the time if I do hit a wall, I can find the answer to my problem here on MyCockpit.org. Between all the forum support and a hefty amount of brainstorming, it has been a surprisingly smooth process so far. What would you class as being an essential part of any simbuild? And why should it be the first thing in your flight sim? Personally, I believe that one of the most important things in a sim is the visual system. I have found that I can learn the systems on an aircraft when using FSX on a single 20” screen. However, getting the feel of how the aircraft handles in space is much harder to simulate. And I believe it is best represented with a well-designed wraparound visual system. Don’t get me wrong, it is highly important to accurately model the aircraft systems as well. What do you hope to achieve in the coming year and how do you plan going about fulfilling those goals? The largest remaining task that we would like to achieve is full integration of the Flight Engineer’s panel. We plan to finish off the switches with FDS cards and hopefully interface the old gauges using Opencockpits cards. Once all of the seats are installed, we plan to build a backwall for the sim to give it a bit more of a immersive feel. And on a non-technical side, we hope to continue to fly more and more regularly for FedEx Virtual on VATSIM. Do you have any advice for other builders? Particularly Boeing 727 builders thinking about embarking upon the project but are worried about it not being as popular to simulate as some of the other aircraft. Well, there is no hiding the fact that a 727 cockpit project is going to be harder to accomplish in different ways compared to a 737NG or A320 project. Two of the main reasons would be part availability and support from other builders. At the same time however, I feel that it is much easier to find real world 727 parts vs. real world 737NG parts. So it is still very possible to build a 727 sim if that is what you are after. It is very true that the group of 727 cockpit builders can be a bit sparse, but I can promise you I will be here for anyone that needs help. So if you thinking about building a 727, go for it! And be ready to fly a jet that you actually have to “fly”! Enjoy the award will, and please keep up updated with your progress in the forums, as we would all be very interested to hear how you continue. I look at this sim and feel this is a restoration project rather than a simbuild. It is bringing an almost extinct beautiful aircraft back to 'life' and for someone to create such an iconic, unique aircraft is fantastic.